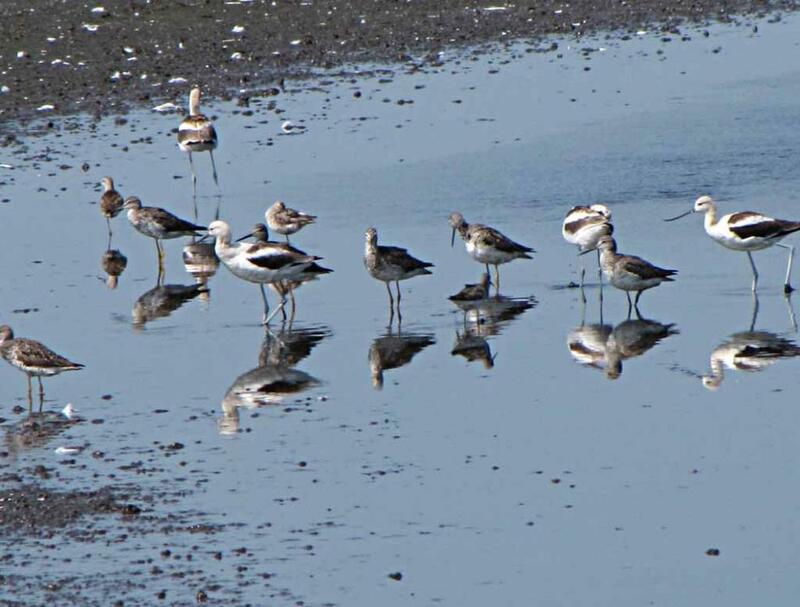 Argentina in southern tip of South America. 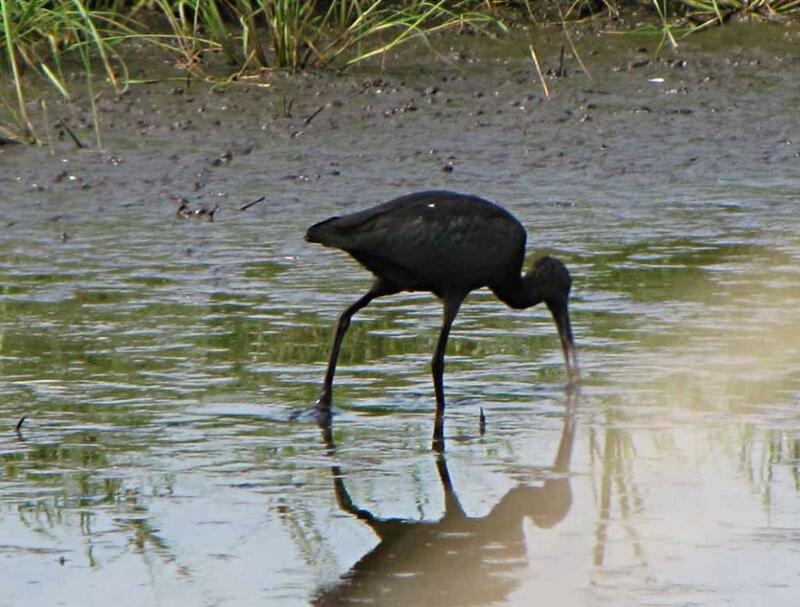 A closer view of a black glossy ibis. 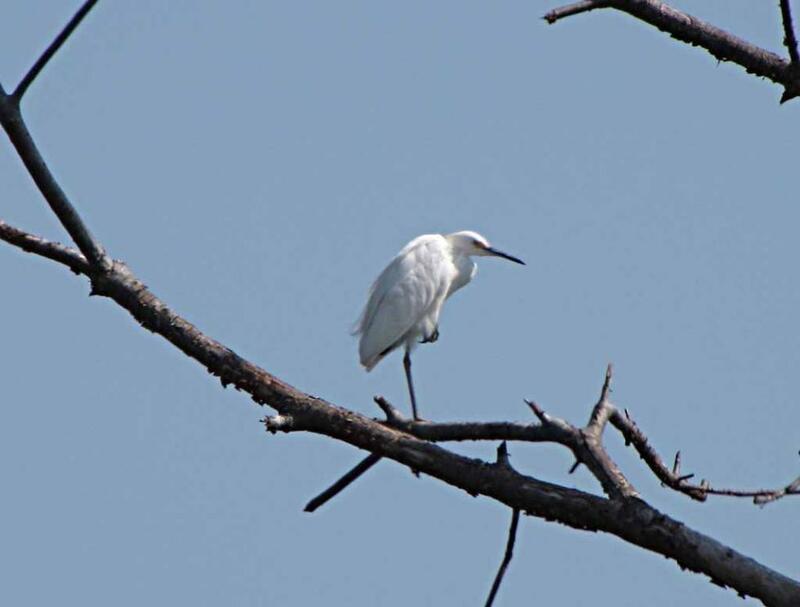 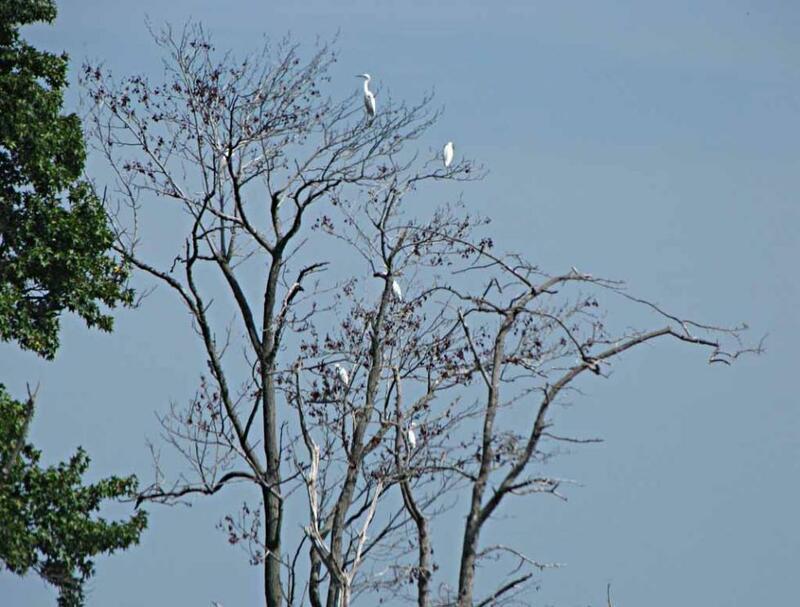 Zoom in for a closer view of one of the snowy egrets with black bill and black leg on a tree. 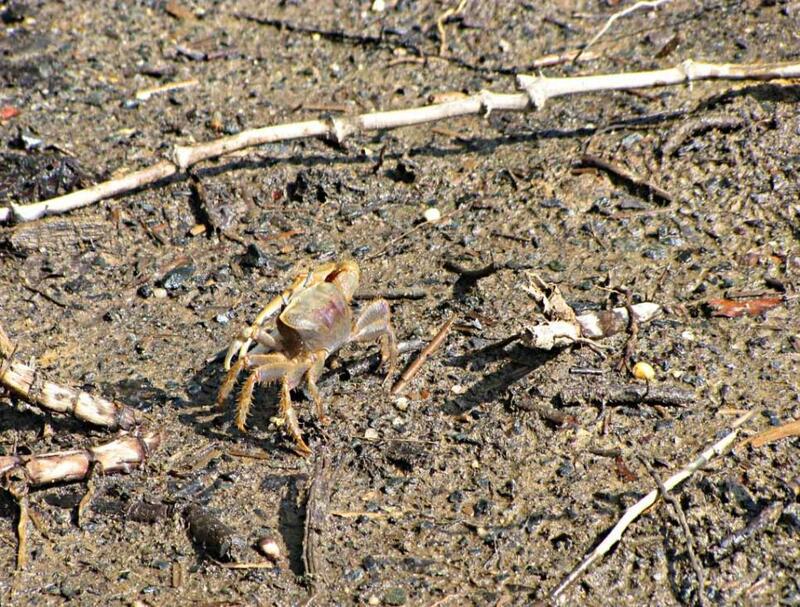 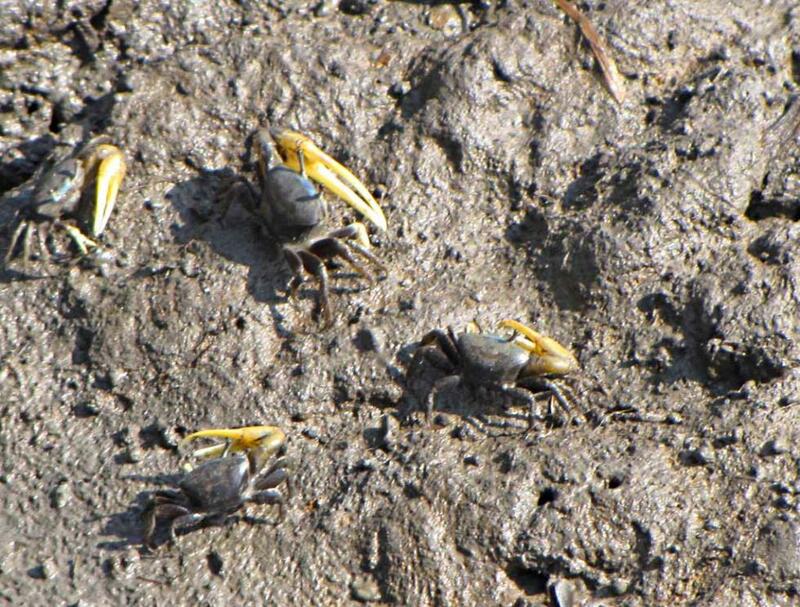 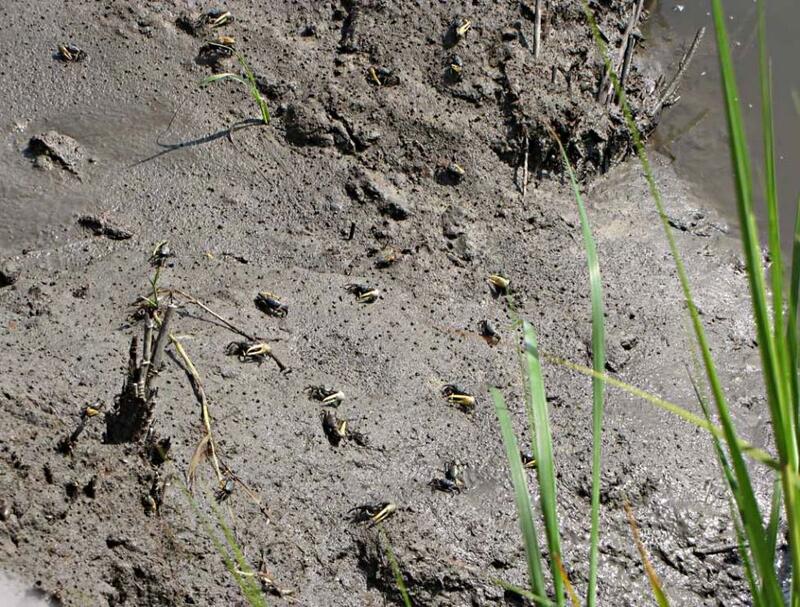 Many fiddler crabs running side way very fast on the bank of Raymond Gut. 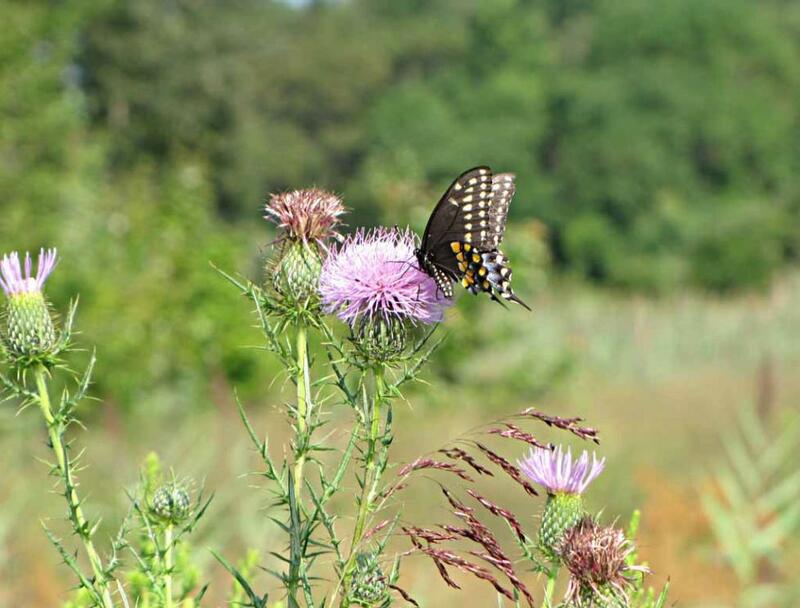 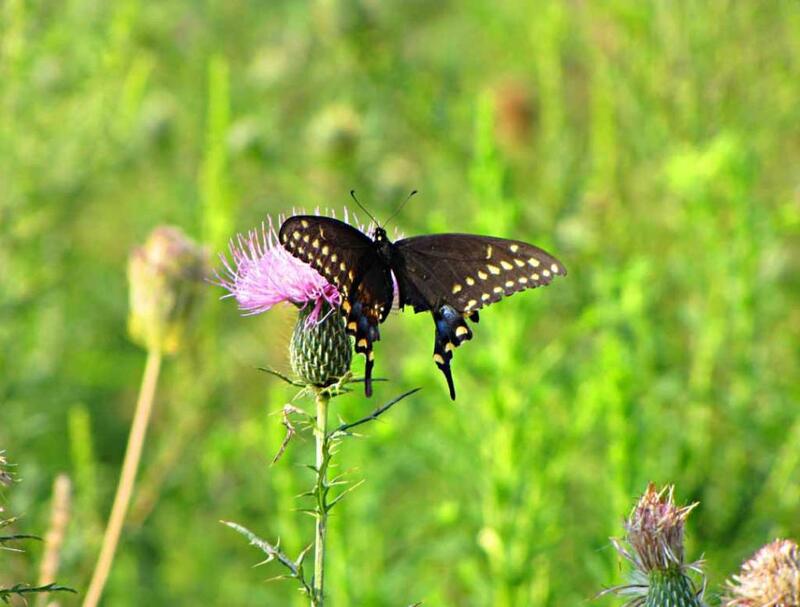 close up picture without scaring away the beautiful butterfly. 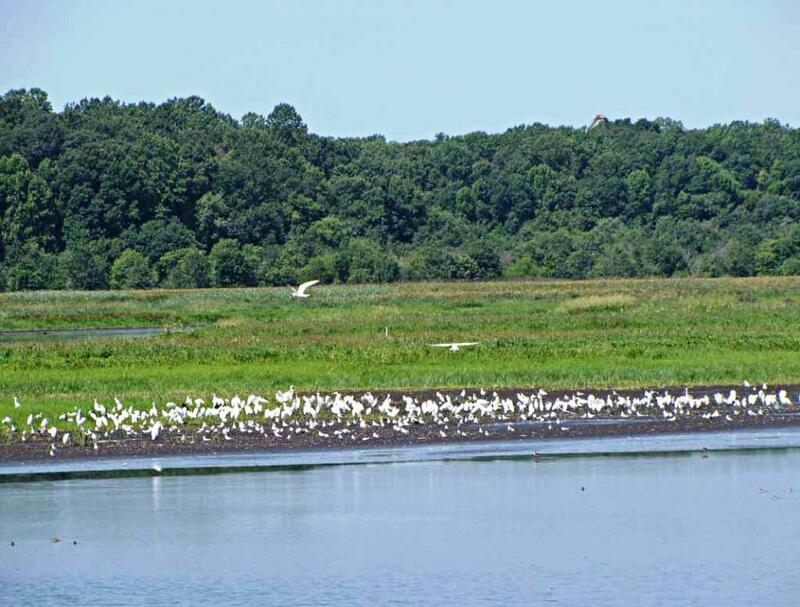 miles east of Smyrna, and 8 miles northeast of Dover, in Delaware, USA. 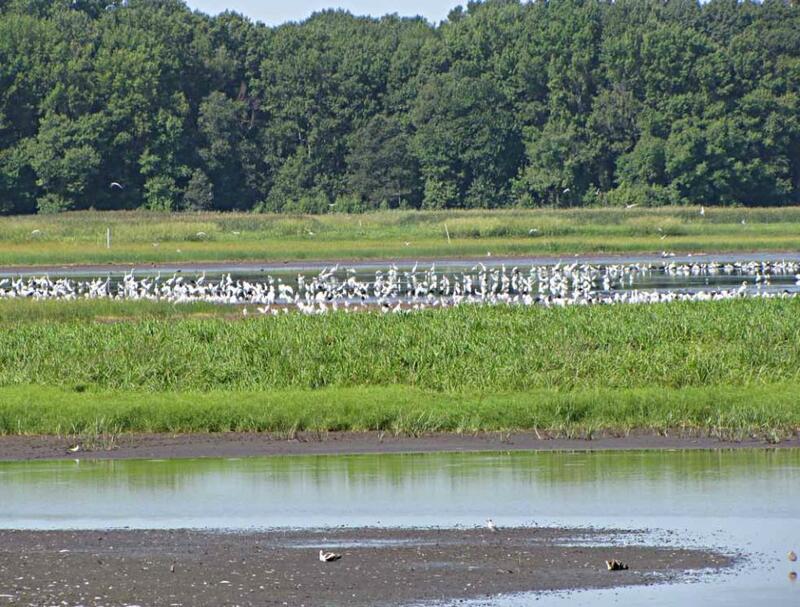 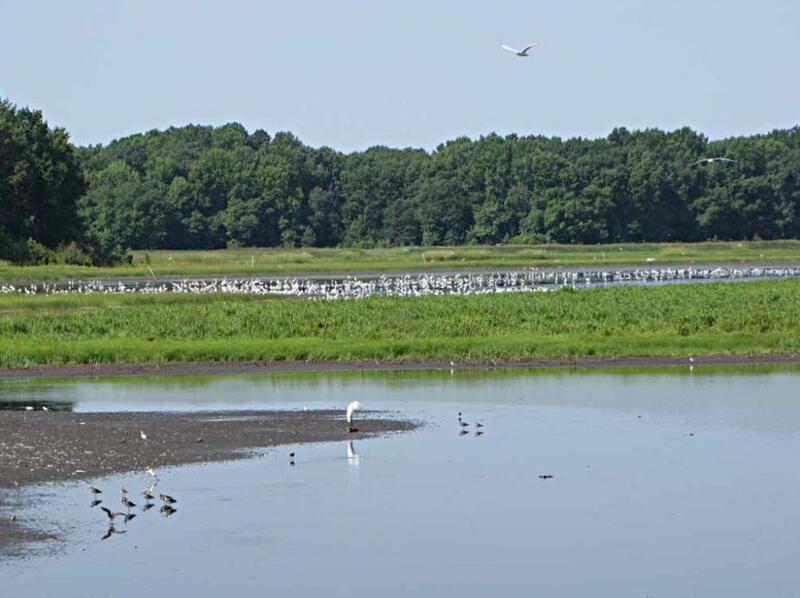 Bombay Hook NWR on Highway 9 at the intersection of Whitehall Neck Road and Highway 9). 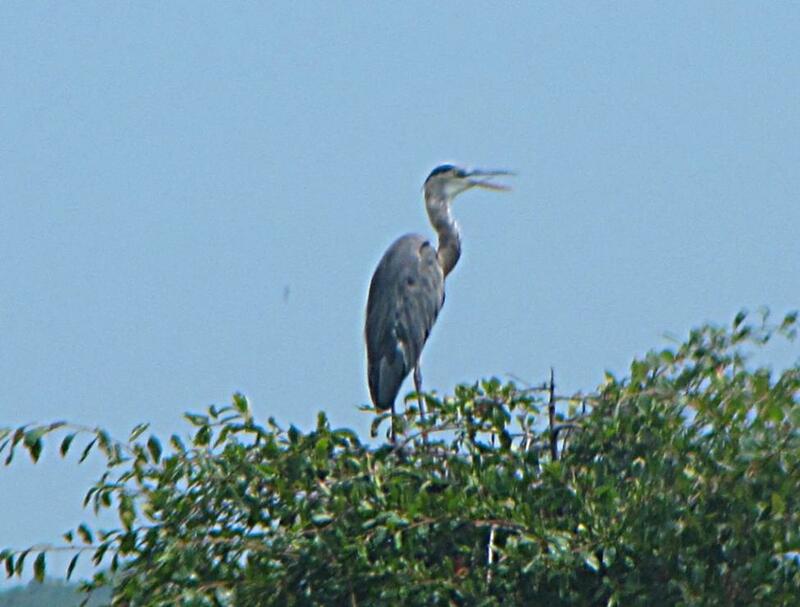 while we were on the 12-mile auto tour route. 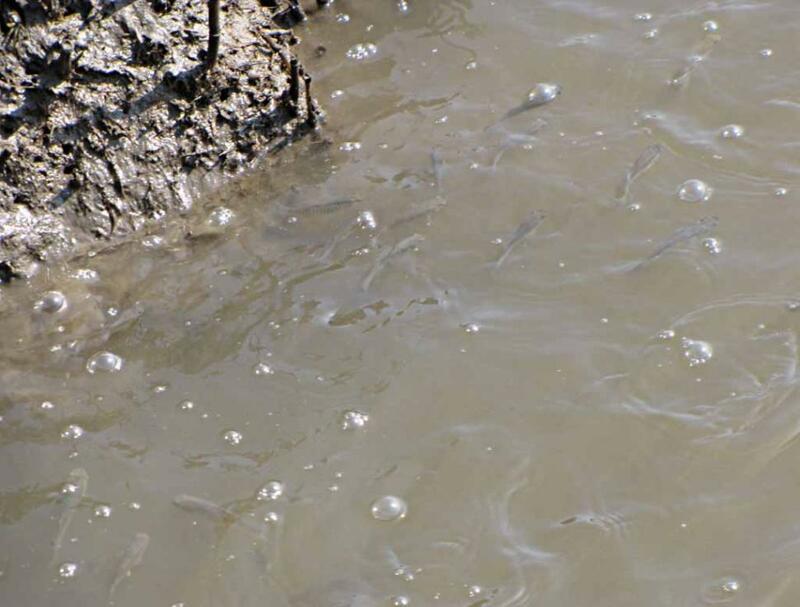 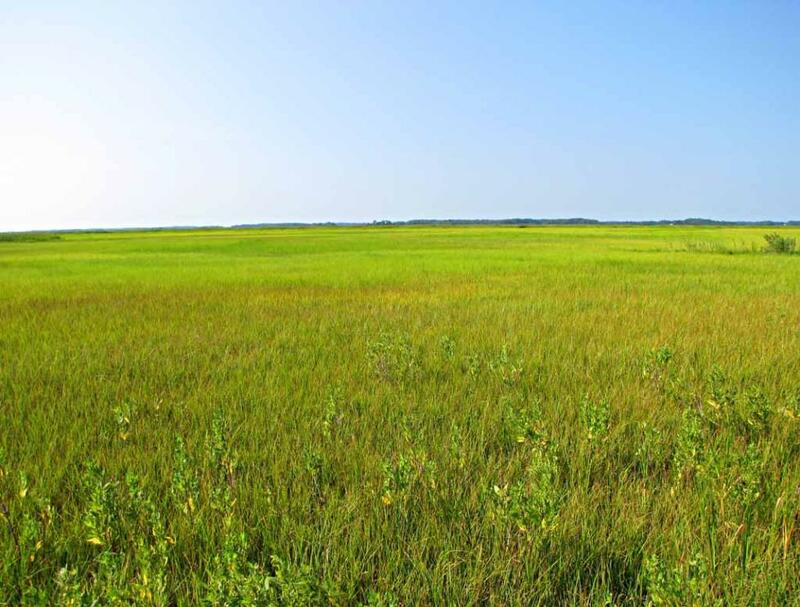 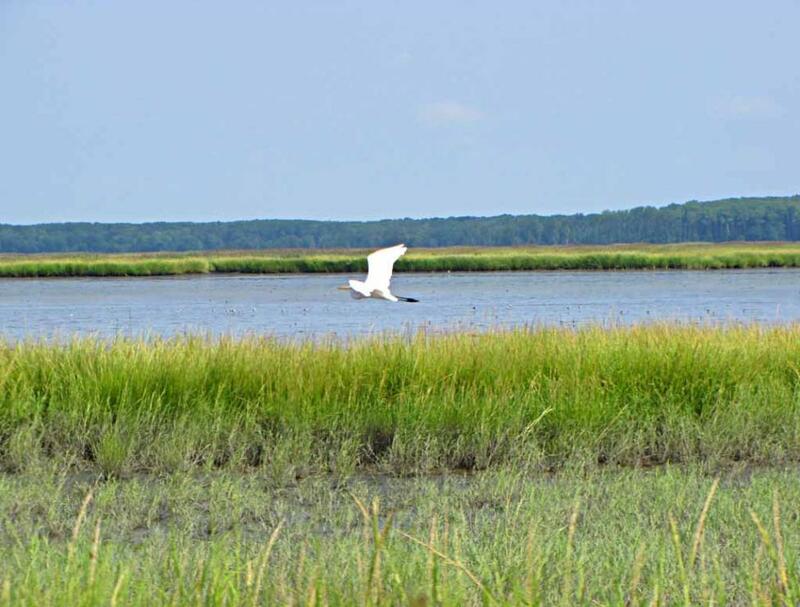 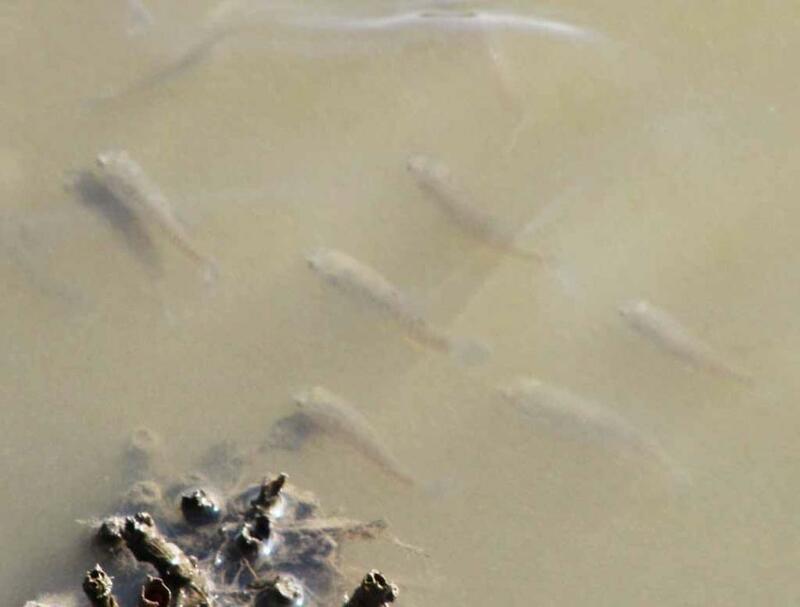 Many small fish in Raymond Gut, which is the tidal stream running along the edge of the tidal salt marsh. 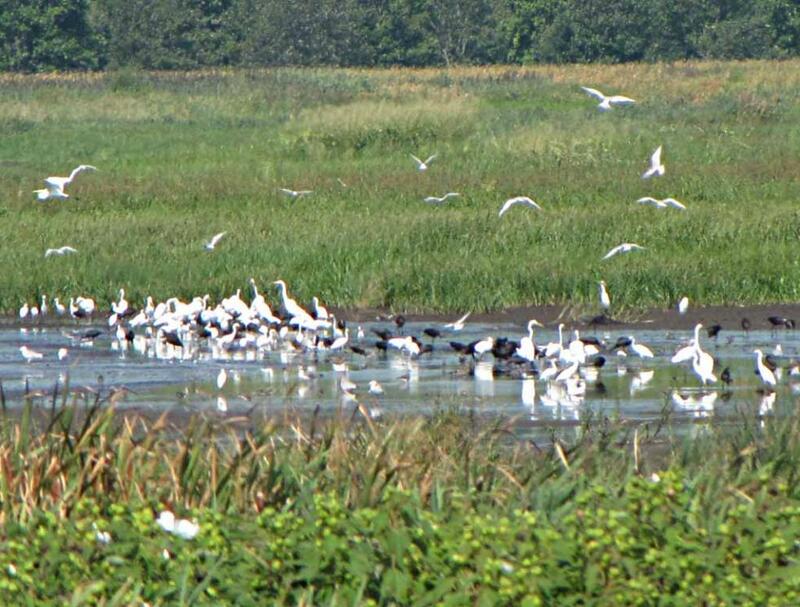 chain of 540 refuges extending from Canada to the Gulf of Mexico. 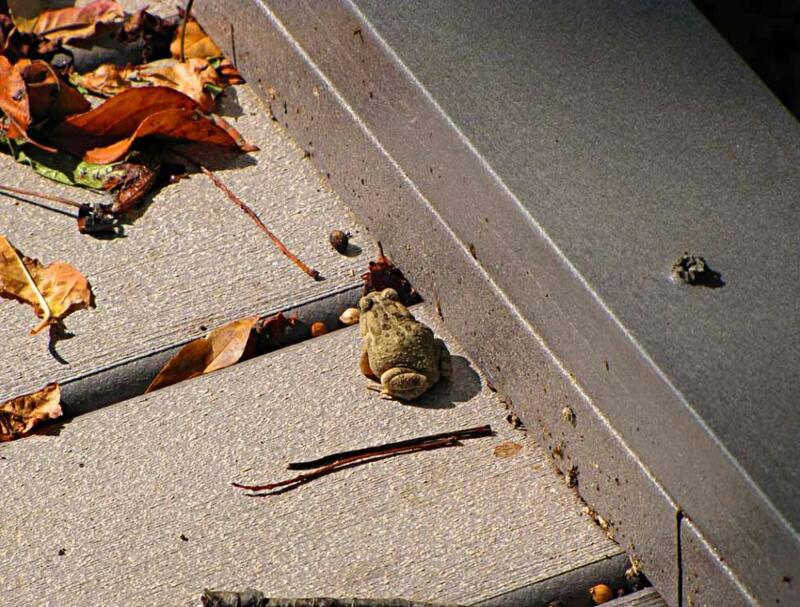 here and there. 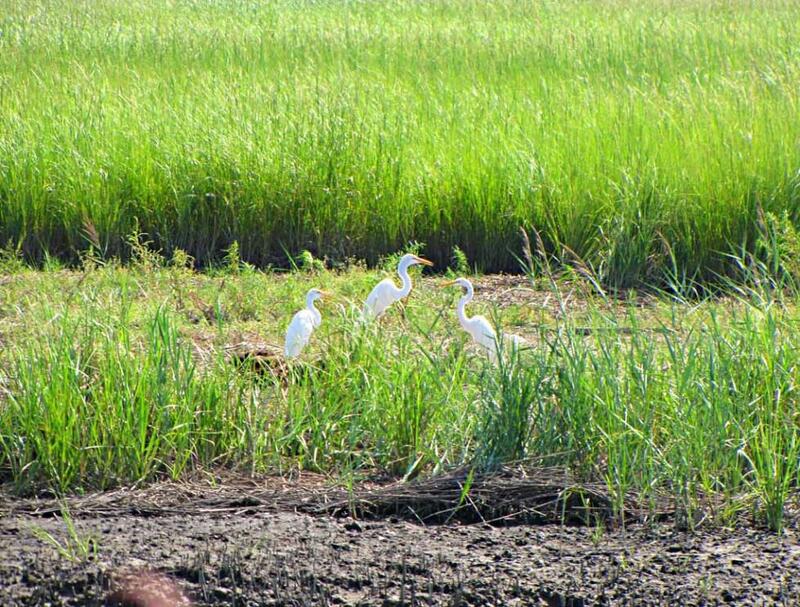 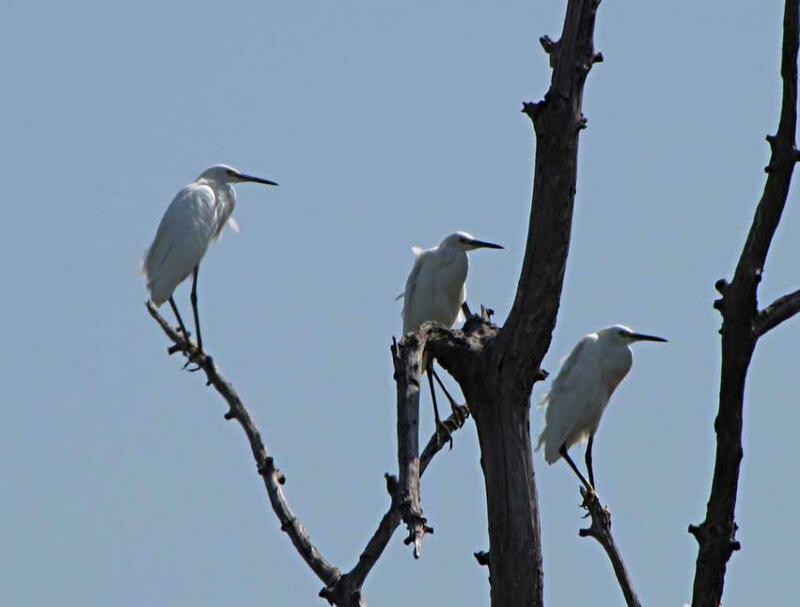 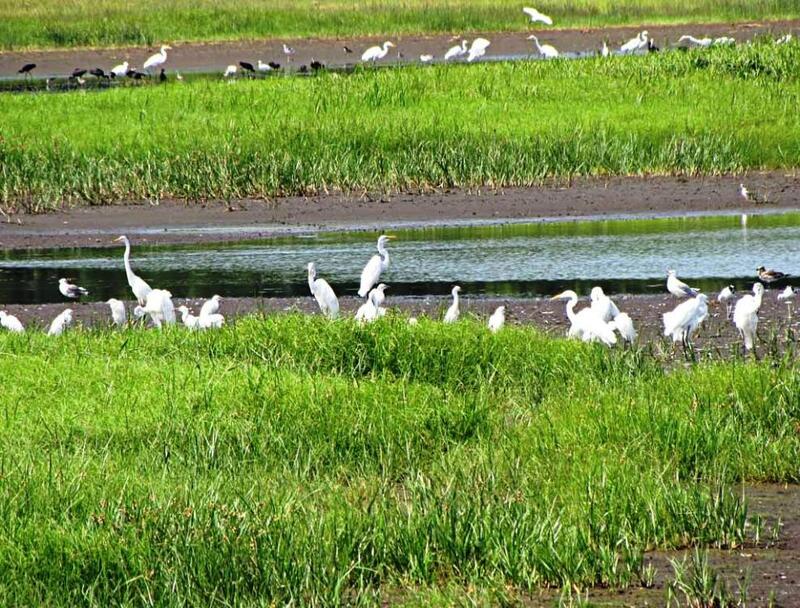 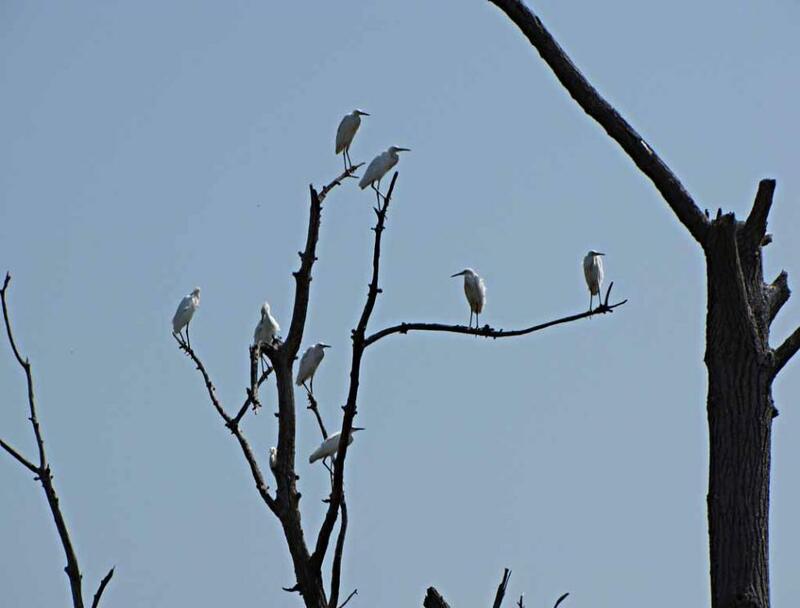 But this is the first time that I see such a large number of egrets concentrated in one place. 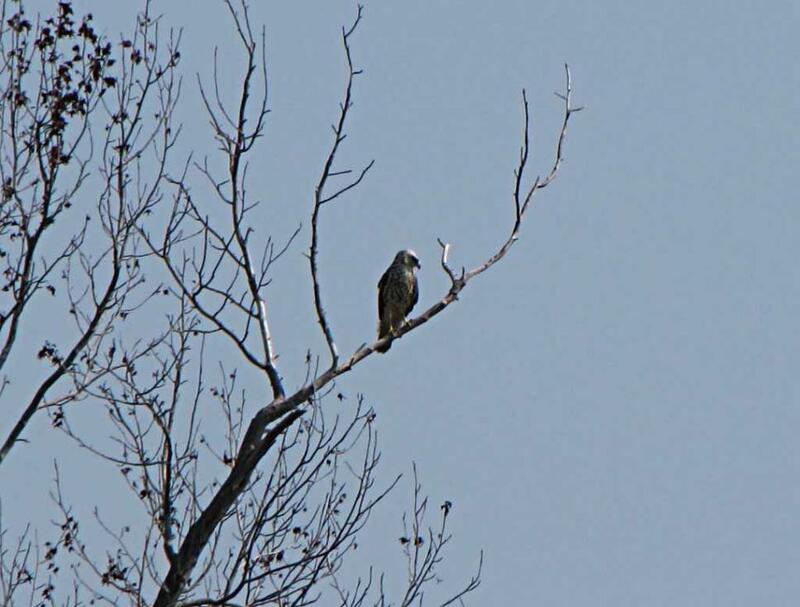 We also saw a hawk (may be an osprey) on a tree while we were hiking on that 0.25 mile boardwalk. 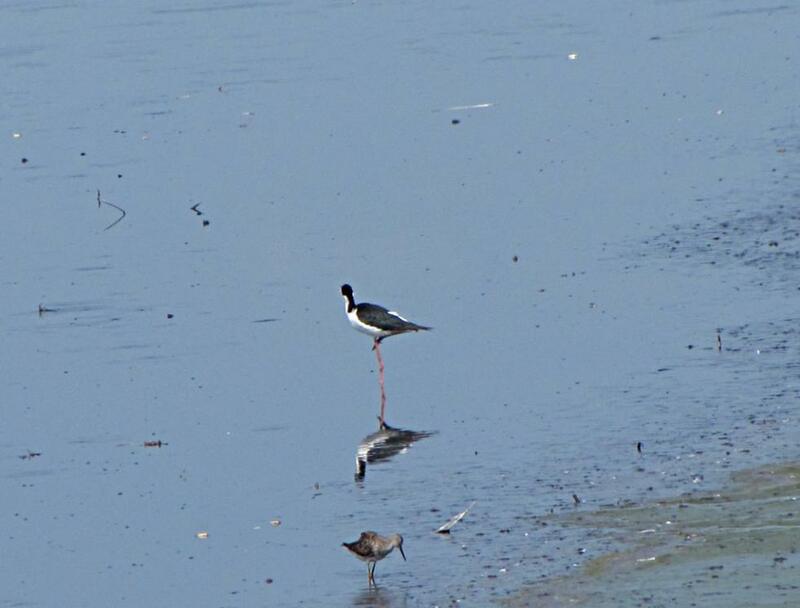 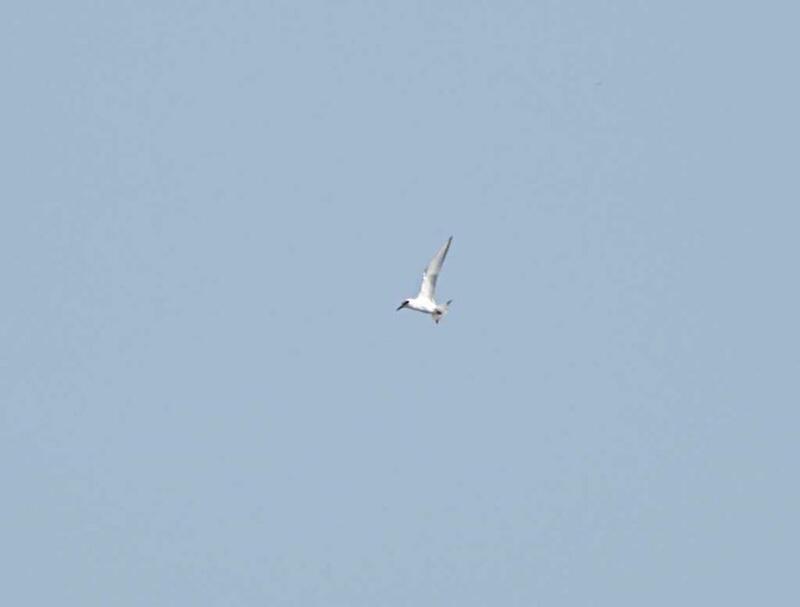 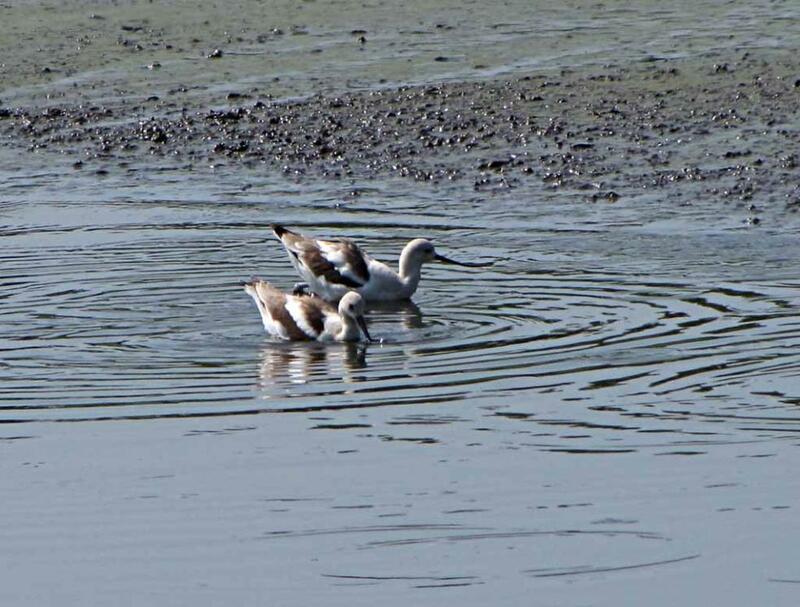 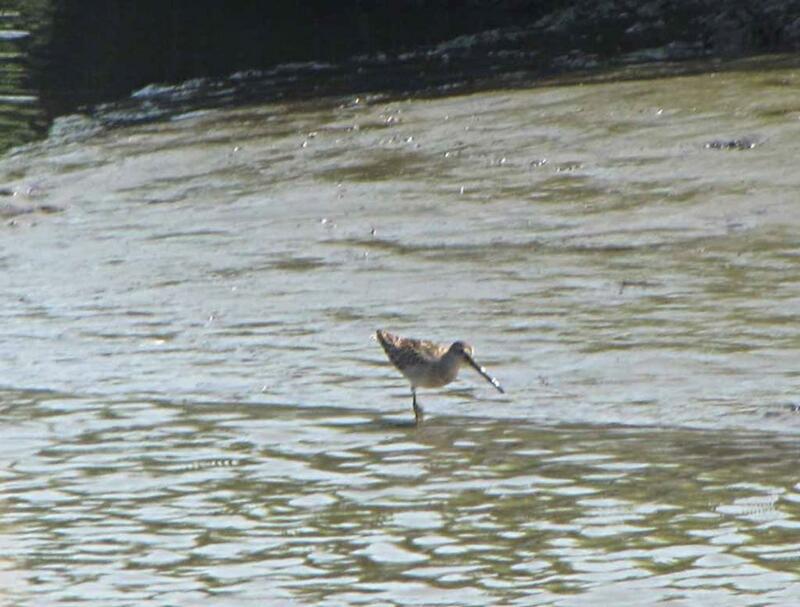 A shorebird with long bill, may be a dowitcher, feeding on the mudflat. 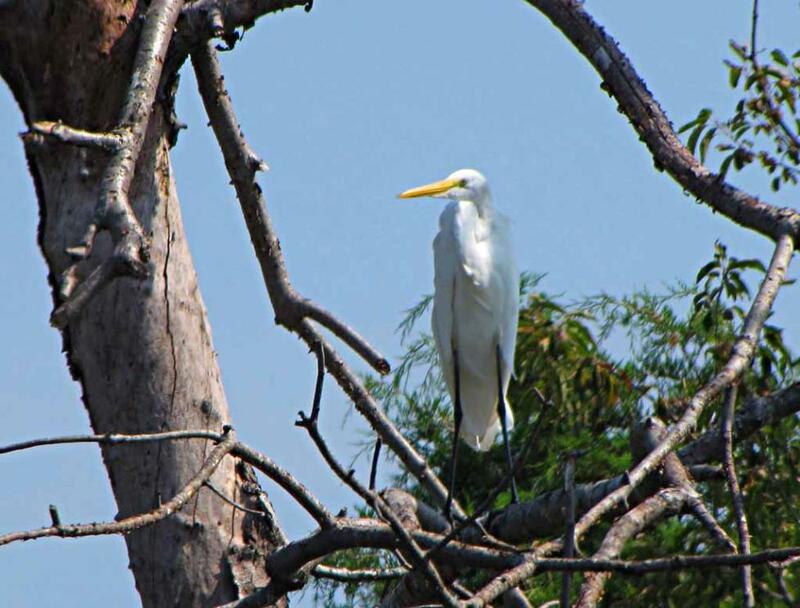 provides visitors excellent opportunities to observe and photograph wildlife. 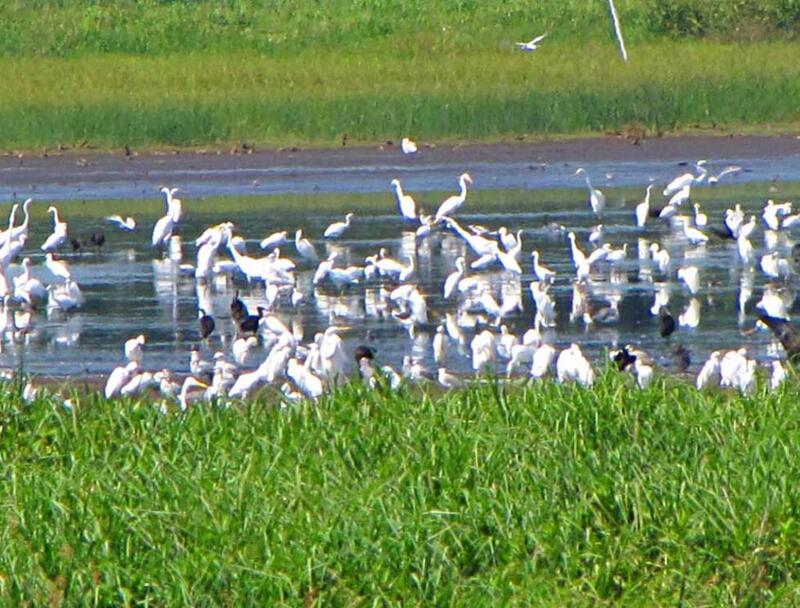 Another large group of birds at another part of Shearness Pool.